JaeJoong released his newest solo album and I have no words to describe it but AMAZING AND PHENOMENAL. Really, those words aren’t even enough to describe it but I can’t think of any other adjective to use that would fit it. I can’t choose any song as my favorite in this album because all the songs are equally great. They all stand out for me because JaeJoong used different styles and melodies for each. I can honestly say that I like this album better than “I” simply because of the variety of styles that JaeJoong displayed on “WWW”. He just keeps on improving on every album/song he releases! I’ve said this a million times already but I’ll never ever get tired of saying it again and again: I’m super proud of JaeJoong! I’m proud of his improvements as an artist and on what he has achieved in his career. I’m thankful that he’s finally showing the whole world the God-given talent that he has. I’ll forever be proud that I’m a die hard Kim JaeJoong fan because I know that I’m supporting an artist worthy of all the support and praise I give him. 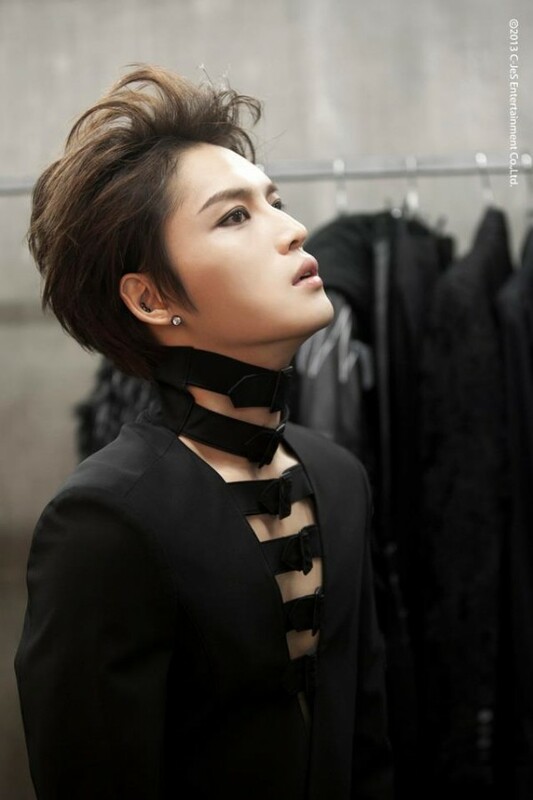 I haven’t posted in AGES but I just can’t help but share the new single of JaeJoong from his first full solo album. The track is called “A Sunny Day” featuring Lee Sang Gon. Unlike the main tracks from his previous mini album, this song is a ballad – which I think is one of the genres where JaeJoong really excels. I love him the most when he’s singing these kinds of ballads that’s why I fell in love with this song instantly. It’s so easy to listen to and so soothing. JaeJoong’s voice really never fails to enchant me when he sings ballads such as this one. I can’t wait for the release of the full album! For all JYJ and JaeJoong fans, the long wait is finally over. JaeJoong finally releases his mini-album entitled “I” (album title was changed from “MINE” to “I”) today and it did not disappoint. The long wait of the fans was worth it because the mini album was exceptional and impressive. It contains a variety of tracks that are individually amazing and that are all actually capable of being title tracks of the mini album. JaeJoong indeed prepared for this album so well and he was able to deliver a masterpiece. I’d have to say – personal bias aside – that this is one of the best albums I’ve heard in recent years. It breaks away from the usual K-Pop style of songs nowadays. The songs in this album are raw and beautiful. No auto-tunes/dubstep or any other song enhancers of the same kind were used. Only the beautiful melody, fantastic arrangement and JaeJoong’s unbelievably versatile vocals could be heard and that’s what made these songs even more amazing. This is the title track of his mini-album This song actually reminds me of the Japanese track “MAZE” that he released before when he was still with DBSK. This is the authentic Rocker Jae that we’ve all been waiting for. Again, JaeJoong’s voice is what makes this song amazing because I think his husky voice really suits the rock genre. The piano parts at the intro and middle of the songs were also great. It’s kinda anti-climactic (especially the middle piano part) but I think it also makes the song interesting because it somehow gives the song more drama. What I love most about this rock-ballad is the melody, the instruments used as well as JaeJoong”s raw and husky voice. You can just hear the rawness of his voice when he hits the high notes – just stunning. Also, I love how he was in control of his low and high notes. The transition from low to high and then back to low is so smooth that he makes it sound so easy. This is my personal favorite in this mini-album. From Rocker Jae, we go back to Jae the Balladeer. This is another genre where JaeJoong excels because his voice is just as amazing when he sings these kinds of songs. “All Alone” is such an emotional song. I actually got teary-eyed listening to this track because it just gives you that sad and painful feeling. The way JaeJoong sang it also adds to the emotion the song gives off. His voice is so soothing and emotional that it would be impossible not to be moved when listening to this. Again, the melody and arrangement is amazing. It’s the most balanced song in this mini-album, in my opinion, because it’s not too rocker-ish and it’s not a ballad, too. And may I add that out of all the songs in the mini album, this is where I found JaeJoong’s husky voice to be the sexiest. :) This is definitely another favorite. This is part of the OST of his movie “Jackal is Coming”. Another ballad where he proved how versatile his voice is. Those high notes towards the end left me in awe. I also love how the songs seems to be divided into two parts and my favorite is the 2nd part where the drums were injected in the melody of the song. In conclusion, I’d have to say that “I” is beyond amazing. It’s so great that I’ve run out of adjectives to describe it. JaeJoong and the other people behind the production of this mini album are geniuses. I sound like a broken record but seriously, this mini-album is a masterpiece. I am so proud of JaeJoong for releasing an album that showcased talents and proved how much of a real artist he has become over the years. For someone like me who has been his fan for the years, I’m happy to see his improvements over the years and how he developed into the amazing artist that he is. He is such a talent – a gem that we don’t see that often especially nowadays where people (especially in K-Pop) gives priority to looks over talent. He is indeed perfect. Ok, not totally speechless but I just don’t know the right words to express the beauty and depth of this MV. It’s so masterfully done that it can rival the MVs produced by top companies in the Korean music industry. The visuals were superb and JaeJoong was able to convey the right emotions for each setting and was very effective in portraying the images of a lost soul/captive/dark angel. When I saw the teaser for this MV, I actually felt it’s a bit scary because of the dark concept (well, too dark for my taste) but now that I finally watched the full MV, I came to understand why he chose such a concept and I’m glad he did because there’s no better way to interpret such a powerful song with meaningful lyrics other than with a majestic MV like this one. Check out JaeJoong’s full MV below and see for yourself! I know I’ve been out of the blogging circle for so long already and I swear I regret not being able to post about JYJ and Kpop anymore but I just can’t stay silent any longer – especially not when my ultimate bias Kim JaeJoong pre-released such an impressive track from his mini album “Mine”. 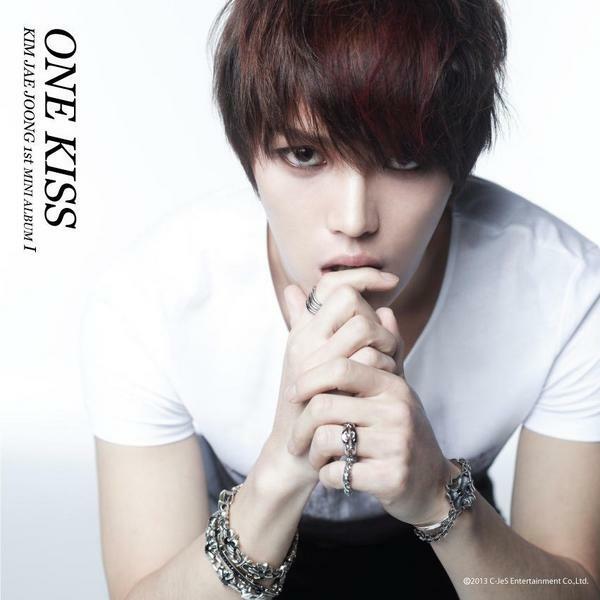 JaeJoong has pre-released his track “One Kiss” today off his upcoming solo mini album entitled “Mine” which is slated to be released on January 17. I’ve always loved listening to JaeJoong singing rock songs because it fits his voice perfectly so just imagine how ecstatic I was to hear ‘One Kiss’. I knew JaeJoong has got great vocals but he ever fails to impress me with his new songs and this is no exception. I love how husky his voice was and how powerfully he hit those high notes. I love the emotion on his voice, too and his transition from the low notes to the high notes – just perfect! As other fans would put it, listening to ‘One Kiss’ is complete eargasm. And as if his amazing vocals isn’t enough, he also wrote the lyrics of the song which is equally amazing. I would love to hear him perform this live because I’m sure it would be epic. ‘One Kiss’ is an amazing masterpiece that will surely be remembered for it’s greatness. As a fan, I am so proud of JaeJoong (and the rest of the JYJ boys, too) for releasing such great songs and compositions and for being brave to take on genres that are not mainstream in K-pop. I truly believe now that they are no longer in the “K-pop idol” league with the rest of the idols nowadays. They can now be truly called as REAL ARTISTS because they experiment with their music and they dare to be different. JYJ as a group and as individuals are truly one of a kind. They are a gem in the Korean music industry that are unfortunately not getting the attention and recognition they deserve just because of some crap that the broadcast stations keep on pulling on them. But I am proud because even after so many years of being ‘banned’, they are still surviving and are still going strong, thanks to their talent and the support their loyal fans. … well at least for fans who follow JaeJoong’s crazy and out of this world and sometimes emotional tweets. Every day, I make it a point to always mention him on Twitter just to say hi and wish him a nice and productive day. Everyday, I look forward to his silly tweets because they never fail to make me smile, the random photos that he posts always complete my day. Somehow, I also check his twitter to know if he’s doing ok. It makes me worry everytime he posts something that isn’t exactly good but despite that, I am thankful because at least I know what’s happening to him and that I can sympathize with him and show him that I care even by just a simple reply to his tweets. There’s a slim chance that he can read my mentions but that’s ok with me because at least I get to send him messages. It makes me feel closer to him; its like he’s just within reach of his fans. A few weeks ago, I even remember congratulating him for reaching more than 1 million twitter followers. I was so happy and was already looking forward to congratulating him for his 2 million followers. Yes, I am that confident that he can surpass that 2M mark because, well, he’s just too adorable that a lot of new fans fall in love with him everyday. But just recently, I found out that he deleted his Twitter account due to someone hacking his account… AGAIN. I just can’t explain how sad I was to have known this news. Most of all, I am mad at whoever hacked his account. What s/he did is unforgivable. I do not understand why people do such things as hacking other people’s accounts. What do they get from doing this? It frustrates me to know that all of JaeJoong’s fans need to suffer because of the immaturity of one person. I can’t blame JaeJoong either because he already gave a warning thay he will be deleting his Twitter account if it gets hacked the second time. I’m just really sad that now, I no longer have something to look forward to everyday. I will no longer see JaeJoong’s silly photos. I will no longer be able to send comforting words whenever he’s feeling lonely and alone. And most of all, I won’t feel the same closeness to him again. Suddenly, he seems out of my reach again. Indeed, Twitter will never be the same without @mjjeje. Now, Junsu is the only one left with a Twitter account. I just hope he won’t find any reason to delete it, too.